Drugs, stocks and a whole lot of money is what it is all about. This is a great movie. Despite being 3 hours long, it still manages to remain interesting almost all the way through. 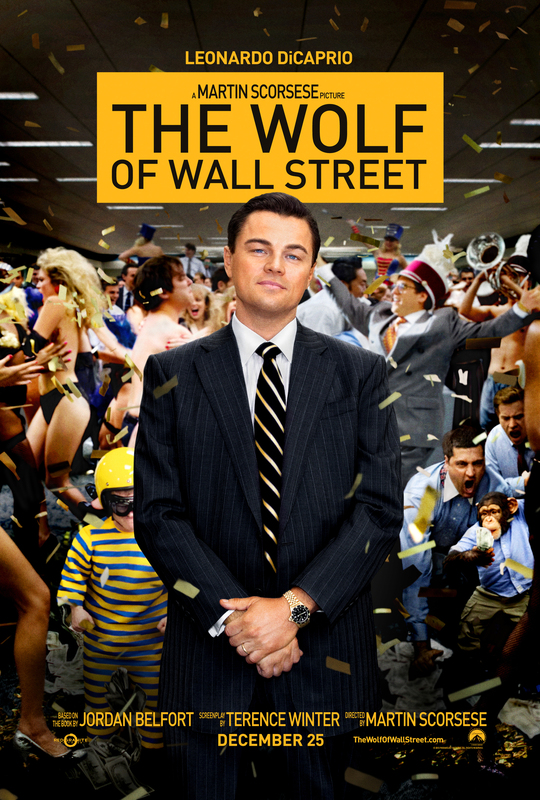 I love the story that takes you through the development of Jordan Belfort from nothing (or pond scum even) to king of Wall Street and back to nothing again. Despite the fact that you know that something is going to mess up his life, you still sit and enjoy the journey all the way. Well done! Leonardo DiCaprio is a brilliant actor en general, and this movie is another major contribution to his career. He really does a great job, and might even pull an Oscar home on it. Jonah Hill is playing a role that is slightly misplaced in this movie. Either the writing is a bit off or maybe Hill is overdoing his part as an inbred moron. It is a role that is quite similar to other stuff he has been doing, so in general I am not impressed, though he did make me laugh more than a few times. Matthew McConaughey has a small part here, but his performance is very strong and I am very impressed. What I did not like about this movie (SPOILER ALERT) is the ending. For me a 3 hour build-up must end with either a bit bang, a mighty twist or something similar. This one just fizzles out. That was a big letdown for me. If you like good drama, this is a very good movie. If you like stock exchange, Wall Street etc., this is a must see.